The opening goal set a hypnotically frantic tone. Captivatingly familiar for a derby game. Quality’s void filled with the excruciating knowledge that something is always about to happen. In clearing a David Unsworth long-ball and attempting to contain Duncan Ferguson, Jamie Carragher’s handball went unnoticed. His robust clearance was cushioned by Robbie Fowler and landed at the feet of Dietmar Hamann. The German’s carefully measured half-volley exposed a grossly over-committed Everton defence, and Emile Heskey held off Steve Watson before drilling his finish under Paul Gerrard. Everton 0-1 Liverpool. On Easter Monday of 2001, the 164th Merseyside derby had it all. A recklessly pulsating match which swung between sublime, scrappy, and borderline stupid. There were 12 cautions, a red-card for Igor Bišćan, two penalties (one scored and one missed) and five goals. 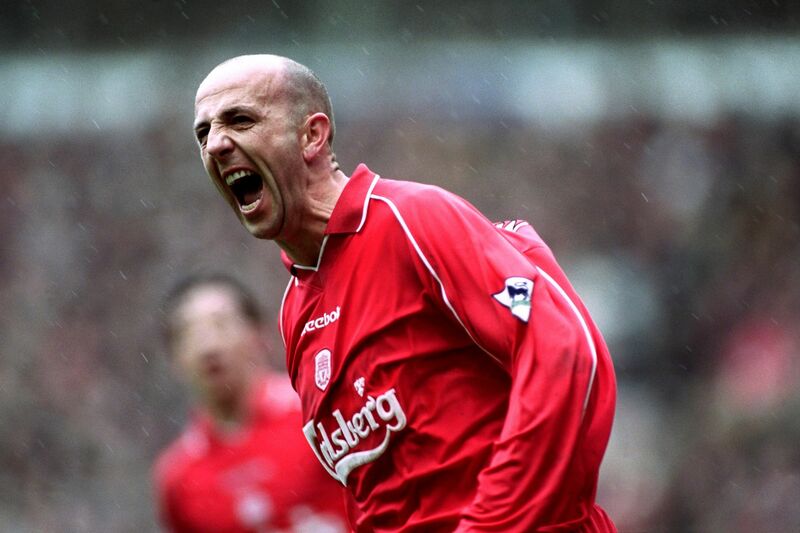 The deciding goal was a moment of sweet ingenuity from veteran Gary McAllister. There appeared to be little threat on offer from a last minute 40-yard free-kick. However, in those pre-vanishing spray, halcyon days of the Premier League, the cunning McAllister gained a couple of yards. With referee Jeff Winters’ back turned, McAllister moved the ball forward with something of a glint in his eye. It was still 40 yards from goal. Everton’s two-man wall was nothing more than a gesture. It signalled the consensus of expectation that a chipped ball into the box would proceed. Instead, McAllister hit a shot which somehow and all at once chipped, dipped and drilled its way towards the goal. With Paul Gerrard unsighted and wrong-footed, the ball bounced once before nestling in the bottom corner. “McAllister takes it … woooaaahhh yes”, foamed an astounded Ian Darke. As the Sky Sports cameras picked out Liverpool manager Gérard Houllier, his face was reminiscent of a man who had recovered a jackpot-winning lottery ticket with a few hours remaining till the claim deadline. Liverpool’s 3-2 victory, their first at Goodison Park in little over a decade, proved a catalyst for a remarkable season finale, and cemented Everton in a relegation battle. Following the derby-winning goal and performance, McAllister was a fixture in the Liverpool midfield. The crucial final month of the season belonged to him, and to say he single-handedly won Liverpool the UEFA Cup wouldn’t be a huge overstatement. His quietly influential application steered Liverpool to third place in the Premier League, Champions League qualification, a UEFA Cup semi-final victory over Barcelona, and seemingly unlikely victories in the FA Cup and UEFA Cup finals. Not bad for a 35-year-old Bosman signing from Coventry City. McAllister’s arrival on Merseyside wasn’t greeted with widespread enthusiasm. Fresh from two consecutive relegation battles, and in the fading twilight of his less-than-spectacular playing career, McAllister’s signature prompted more eyebrow raising than wide-eyed anticipation. Despite being a league championship winner with Leeds United in 1992, strength of association made the Scot a bottom of the table warrior, rather than a European great. Furthermore, Liverpool’s midfield roster was already rather lavishly staffed in July 2000. Twenty-year-old Steven Gerrard had recently established himself in the first-team, flitting between the right flank and a central role alongside Dietmar Hamann. Czech duo Patrick Berger and Vladimír Šmicer offered width and attacking options, as did Danny Murphy. New signings McAllister and Nick Barmby faced fierce competition. Furthermore, Igor Bišćan would sign in December for £5.5m, and the injured Jamie Redknapp remained in contention despite a long-term injury. Gérard Houllier, though, saw potential and the bigger picture. Having started his career with Motherwell, McAllister spent four seasons toying with the roles of attacking midfielder and forward. A move to Leicester City, as a makeweight in a deal primarily for Ally Mauchlen, cemented McAllister as a midfielder. Whilst Leicester established themselves as a solid second-tier club, McAllister built a reputation as a tidy passer of the ball, with a keen eye for goal. Especially from distance and set-pieces. In football’s relatively brutal and ugly 1980s world, a player of McAllister’s dignity and finesse stood out. So much so that in 1989 Brian Clough was willing to part with £1.5m to take him to Nottingham Forest. Rumour has it that McAllister left their meeting unimpressed by the Forest manager; an early indication of his strength of character if ever there was one. Months later, McAllister did inevitably leave Leicester. Leeds was to be his destination, and replacing the outgoing Vinnie Jones his task. During his spell at Elland Road, McAllister was part of a league championship-winning midfield featuring Gordon Strachan, Gary Speed and David Batty, all supporting Eric Cantona in attack. Widespread recognition of the collective qualities of that midfield didn’t flow freely. 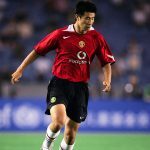 Partly due to Leeds’ unfashionable reputation and partly due to the fervour and hype surrounding the forthcoming Premier League, Leeds’ ‘92 title, and the players who made it possible, aren’t fondly recalled by the masses. Though perhaps nostalgic admiration isn’t quite justified. The 1992/93 season saw the FA Premier League’s inaugural year and a Cantona-less Leeds narrowly avoid relegation. It remains the worst league title defence season in English football. 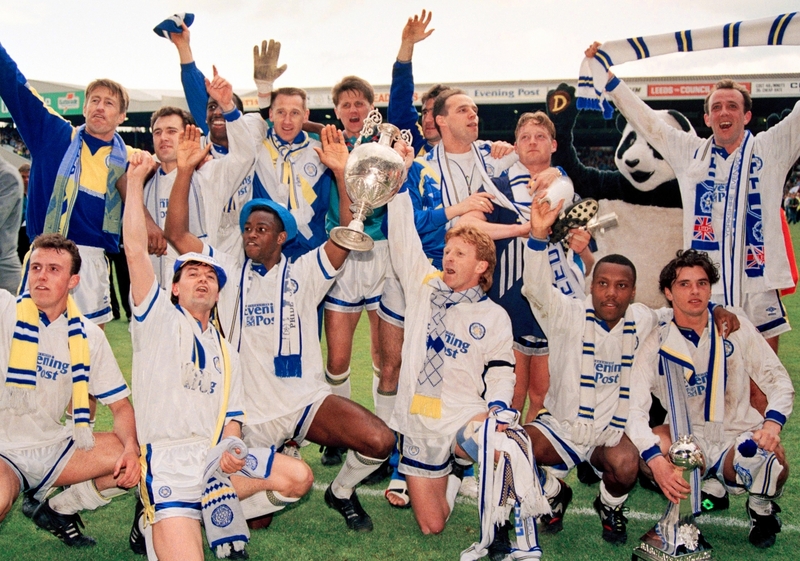 However, Leeds recovered once more and recorded top-five finishes in ‘94 and ‘95, before slipping to a bottom half finish again in ‘96. In what was McAllister’s final season in Leeds colours, he did achieve the honour of captaining a team at Wembley. In keeping with inconsistency though, Leeds were soundly beaten 3-0 by Aston Villa. Already over 30, McAllister moved to Coventry City for £3m in July 1996. Under the stewardship of Ron Atkinson, Coventry were exactly what one might expect; a team mildly high on attacking flair, yet ultimately lacking in depth or true quality. McAllister was signed to bridge that gap. When Big Ron moved upstairs to become Director of Football in November, he was replaced with McAllister’s ex-teammate Gordon Strachan. Strachan made McAllister club captain and Coventry went on an impressive run of form. Dion Dublin was their star player, and one more than appreciative of McAllister’s dead-ball expertise. By January 1997 Coventry were up to 11th in the Premier League. Heady heights couldn’t be maintained and Coventry won just four games after the turn of the year. The Sky Blues entered the final game of the season needing a Highfield Road victory against Tottenham Hotspur, and other results to go their way. 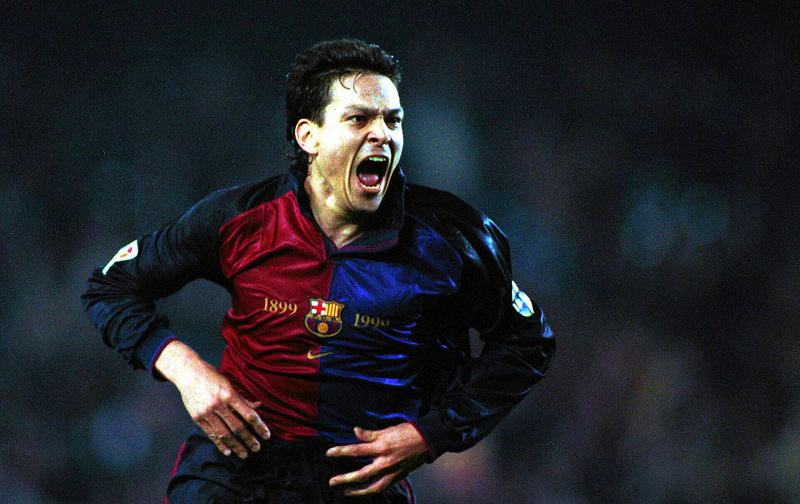 Read | Where does the world-class talent of Jari Litmanen rank? Miraculously, Coventry recorded a 2-1 victory as relegation rivals Middlesbrough and Sunderland both lost. McAllister notched up 38 appearances and six goals, and helped secure what would be Coventry’s 31st successive season in top-flight football. As Strachan went about turning Coventry into a stable Premier League team, McAllister sat out large chunks of the following seasons. He was, however, back to his influential best come the 1999/2000 campaign. His 11 goals, consistent threat from free-kicks, and obvious experience certainly stood out for Houllier. Upon hearing of Houllier and Liverpool’s interest, McAllister thought there was a prank being played. However, initial talks revealed Houllier’s desire to bring in an established professional. Liverpool had just about shaken off the stigma of the “Spice Boys” label and Houllier felt that Gerrard in particular would benefit from McAllister’s attitude and professionalism. The opening day of the 2000/01 season provided McAllister with a cameo debut at Anfield, coming on as a second-half substitute as Liverpool completed a 1-0 victory against Bradford City. Despite striking the right chords in pre-season training, McAllister’s full debut only served to increase questions and doubt. In a fraught and defensively clumsy Liverpool display, McAllister received a controversial red card before half-time as Arsenal eased to a 2-0 win. The second half also saw Hamann and Patrick Vieira sent-off. McAllister didn’t feature again for Liverpool until October. His comeback coincided with a run of three consecutive victories, and a sack load of goals from Emile Heskey. There was no coincidence. Surrounded by younger and quicker players, McAllister’s attitude and vision found a spiritual home. November saw McAllister face two of his previous clubs. At Elland Road, Liverpool lost a humdinger of a game 4-3, with Mark Viduka scoring all four Leeds goals. A week later, and facing Coventry at Anfield, McAllister was instrumental in a 4-1 rout and registered his first goal in Liverpool colours. Liverpool endured a frustratingly inconsistent winter – it’s no coincidence this spell occurred while McAllister himself was in and out of the side. The football season enters its business end as winter makes way for spring. Life and colour can spring from the least obvious corners of the garden, and the same can be true in the Premier League. Thankfully for Liverpool, McAllister was available for a lengthy run in the team. Just three days after deciding the Merseyside derby with that free-kick, McAllister and Liverpool faced Barcelona. The UEFA Cup semi-final second leg had Anfield decked out in the feverous tones only a big European fixture can muster. Having stifled Barcelona at the Camp Nou, an impressively stoic Liverpool had the tie finely poised. However, standing between them and a first European final since 1985 were tough opposition. Barcelona’s team sheet included the present day managers of Barcelona, Bayern Munich, Ajax, PSV Eindhoven and Curaçao. Lining up alongside Luis Enrique, Guardiola, de Boer, Cocu and Kluivert, were 18-year-old Pepe Reina, Carlos Puyol, Rivaldo, Marc Overmars, Gabri, and Sergi. 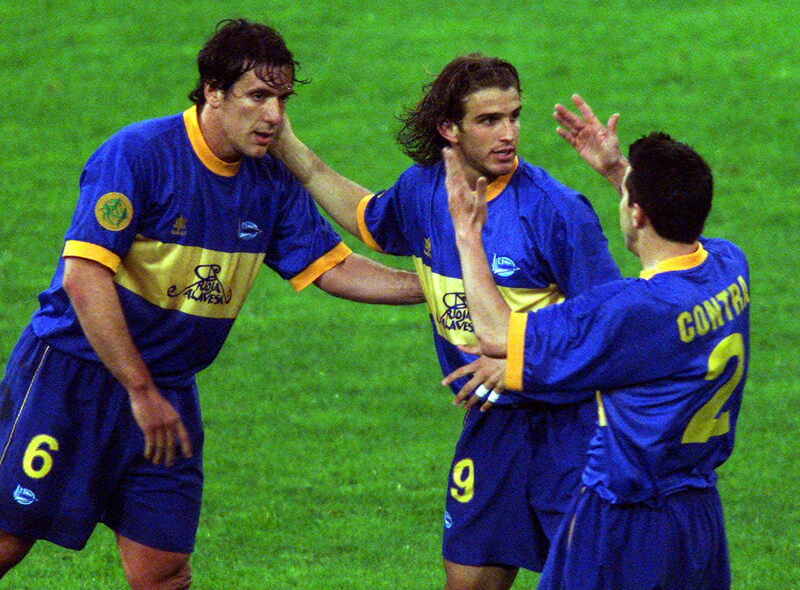 Twenty-year-old Xavi, Iván de la Peña, Boudewijn Zenden, Emmanuel Petit and Dani were on the bench. Though impressive, the quality of Barcelona’s team sheet masked a squad in transition. Louis van Gaal had departed the previous summer and, little did they know it, the Catalan giants were about to go four seasons without a major trophy. The second leg proved the be Barcelona coach Lorenzo Serra Ferrer’s penultimate game in charge. With Anfield ceremoniously draped in flags and scarfs, Liverpool sensed a real chance after a goalless first leg, but the occasion needed a maestro. Prior to the Merseyside derby, McAllister had started in just one of five previous games, yet he took this match by the scruff of the neck. Playing with the calculated intensity of a measured man on a mission, McAllister also put a few of Barcelona’s youngsters in their place. Following a first half McAllister corner, Patrick Kluivert inextricably threw an arm in the air. After a few seconds deliberation, a penalty was awarded. Amidst the zest of a momentarily baited Anfield, and after some persecution from Puyol, McAllister firmly planted the penalty into the top corner. The image of McAllister and Gerrard, cast as master and disciple, fervidly celebrating in the face of Puyol will live long in the memory of many Liverpool fans. Despite the attacking wizardry of Rivaldo and Kluivert, Liverpool’s back four held firm. Their clean sheet meant that McAllister’s penalty was the only goal of the game, and Barcelona were the latest addition to Liverpool’s impressive list of UEFA Cup conquests. Just three days later, with few complaints of fixture pile-ups, Liverpool faced Glenn Hoddle’s Tottenham at Anfield. Going gung-ho on all fronts had seen Liverpool slip to sixth in the table, albeit with a game in hand. As a frantic and nervy quality gripped the game, McAllister again remained a cool and collected figurehead. Looking set for a 1-1 draw with 15 minutes remaining, the game swung on McAllister’s second penalty in four days. Robbie Fowler added a third in the closing stages as Liverpool gathered momentum. Next up was a trip to Highfield Road – and a trip down memory lane for McAllister. With Coventry scrapping for their lives, this was by no means a classic. Liverpool seemed to reflect the frantic energy of their hosts, and the game appeared to be heading for a goalless stalemate. However, into the final throws and it was McAllister who drove Liverpool across the finishing line. He delivered a perfect corner for Sami Hyypiä’s header to break the deadlock, and whipped in another spectacular 30-yard free-kick of his own. Liverpool won 2-0 and McAllister all but condemned his former club to Division One football within three minutes. May 1 saw a trip to Valley Parade, and a familiar pattern play out. Liverpool, somewhat slowly and unconvincingly, ground down their opposition. They missed a host of chances and left it to the accuracy and finesse of McAllister to get the job done. Having laid on an assist for Michael Owen to open the scoring shortly after halftime, McAllister made it five match-winning set-pieces in as many games, his whipped 20-yard effort crashing in off the underside of the crossbar. Liverpool and McAllister were hitting form just when it mattered. Owen’s hat-trick despatched of Newcastle United on May 5 as Liverpool romped to a 3-0 win. Despite racking up a sixth consecutive appearance for the first time during the season, McAllister was unable to add to his remarkable scoring record. With two cup finals on the horizon, McAllister’s leadership and quality were again deemed too important to rest as Liverpool faced Chelsea at Anfield on 8 May. Under new manager Claudio Ranieri, Chelsea were also looking to cement European qualification. They proved a tough nut to crack. Doubles from two of the season’s outstanding strikers, Owen and Jimmy Floyd Hasselbaink, saw the spoils shared. It was a result which left Liverpool still uncertain of Champions League qualification. The 2001 FA Cup final, or the ‘Michael Owen final’ as it became known, was the first played at Cardiff’s Millennium Stadium. Adding to the cosmopolitan and foreign feel, it was also the first final to be contested between two non-British managers. Arsène Wenger’s Arsenal stood between Liverpool and their second trophy of the season. Houllier had taken the tough decision to drop McAllister and Patrick Berger, preferring the mileage of Danny Murphy and Vladimir Šmicer. Despite Liverpool’s midfield having mileage to burn, it lacked composure. 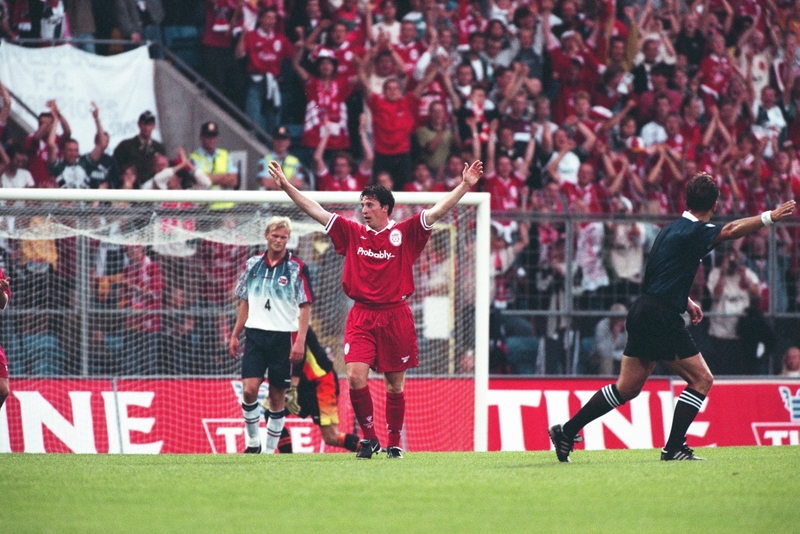 With little under half an hour remaining, McAllister replaced Hamann, with Liverpool on the ropes. Though McAllister’s introduction bought an assured sense of cohesion, the inevitable occurred in the 72nd minute. Freddie Ljungberg rounded Sander Westerveld and put Arsenal 1-0 up. Houllier responded by bringing on Robbie Fowler and Berger. Naturally, however, it was McAllister who created Liverpool’s unlikely winner. Arsenal failed to clear a swinging free-kick and Owen pounced to equalise with seven minutes remaining. With the threat of extra time looming, Berger set Owen free four minutes later and the marriage of pace and creativity capped a winning goal for Liverpool. Fresh from the energy-sapping sunshine and late drama of the FA Cup final, Liverpool still had two games to play. May 19 would see the decisive final Premier League fixture and May 16 would see the small matter of the UEFA Cup final. Houllier made just one change for what would be a dramatic night in Dortmund. McAllister returned to the starting line-up as Robbie Fowler dropped to the bench. For Liverpool it was a first European final since the Heysel tragedy in 1985, and for Alavés the match already represented a glorious culmination to their first ever European campaign. Liverpool were up and running within four minutes. McAllister’s dead ball expertise laid on an assist for Markus Babbel, before Gerrard doubled Liverpool’s advantage ten minutes later. In what was fast-becoming a fascinating and menacingly open encounter, Alavés made an early defensive substitution, and got a goal back. Iván Alonso reduced the deficit with his first touch after replacing Dan Eggen. However, after a foul on Owen in the Alavés area, McAllister again kept a cool head to restore Liverpool’s two-goal advantage from the spot before half-time. Shortly after the break, disaster struck. Thanks to some uncharacteristic lapses in what had been a solid Liverpool defence, it took just six second-half minutes for Javi Moreno to score twice and Alavés to draw level. With the score poised at 3-3, chances for both teams to lead came and went. Houllier replaced Heskey with Fowler, and just 18 minutes remained when McAllister slipped the substitute through. Fowler drilled a right-footed effort into the bottom corner and McAlister claimed another seemingly crucial assist. Alavés, though, weren’t done yet. After both teams had penalty shouts turned down, a Jordi Cruyff header drew Alavés level with two minutes to spare. Golden Goal extra-time would prevail, and naturally, the drama wasn’t over. In the opening exchanges of extra-time, Alavés had a goal disallowed for offside and Magno Mocelin received his marching orders for a second booking. Equally, Liverpool thought they’d clinched it with another Fowler effort, but that too was ruled offside. As a pulsating final entered its 115th minute, Alavés found themselves reduced to nine men. Antonio Karmona received a straight red for hauling down Šmicer. McAllister curled in a mischievous free-kick, which was turned into his own goal by Delfi Geli. The goal made it 5-4 to Liverpool, who claimed their third trophy of a remarkable treble. McAllister, a man closer to his 40th birthday than his 20th, was Liverpool’s driving force. In a breathtaking final of 115 minutes, McAllister had provided assists for three Liverpool goals and scored another from the spot. His attitude, influence and energy drew richly deserved praise. The final day of the 2000/01 Premier League held much at stake for Liverpool. Suffering no hangover and little fatigue, McAllister and Liverpool romped to a 4-0 win at Charlton Athletic. Third place was secured, just a single point off Arsenal in second, which also meant Champions League qualification. Liverpool would be back in Europe’s elite club competition for the first time since 1984. In the final 33 days of the season, Liverpool played 10 matches. McAllister registered six critical goals and six equally crucial assists. By then, aged 36, this amounted to a game every three days, of which McAllister started all but one. The 2001/02 season kicked-off with two further trophies lifted. Manchester United provided the opposition in the Charity Shield and Bayern Munich in the UEFA Super Cup. Picking up right where he left off, McAllister netted a second-minute penalty as Liverpool beat Manchester United 2-1 at the Millennium Stadium. In Monaco, the savvy midfield partnership of McAllister and Hamann saw Liverpool home as 3-2 winners against Ottmar Hitzfeld’s Bayern Munich. Sandwiched between the two trophies was the first fixture of the Premier League. West Ham provided Liverpool’s opening day opposition and were themselves enjoying the benefits of a footballing artist in full renaissance. Paolo Di Canio may have briefly stole the show with an equalising rabona penalty, but McAllister’s mercurially deft assist for Michael Owen’s opener was equally sublime. While Di Canio flitted in and out of the game, McAllister orchestrated its ebbs and flows, and ultimately saw Liverpool home as 2-1 winners. Though McAllister couldn’t replicate the goalscoring feats of his first season at Anfield, he did record 36 appearances. He remained influential as Liverpool went on to reach the Champions League quarter-finals and achieve a domestic runners-up spot. To top it all off, McAllister was awarded an MBE in the 2001 New Year’s Honours list. Following the League Cup, FA Cup, UEFA Cup, FA Charity Shield and UEFA Super Cup, it became McAllister’s sixth medal; not bad for a player who had only ever picked up two trophies in his previous 19 years as a professional footballer. In two seasons at Anfield McAllister registered 87 appearances, nine mostly crucial goals, and a staggering five trophies. 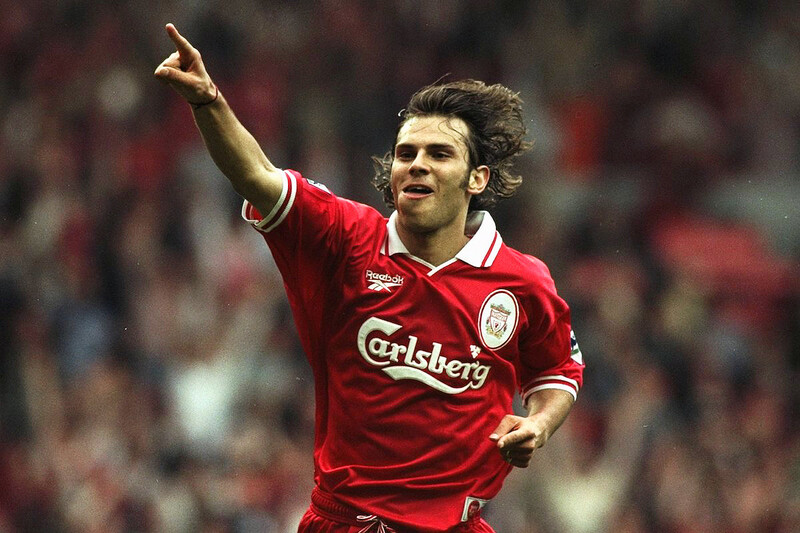 In 2006 he was voted number 32 in a Liverpool supporters survey of ‘100 Players Who Shook The Kop’. This recognition places McAllister ahead of names such as Terry McDermott, Ray Houghton, John Toshack and Jamie Redknapp, and goes some way to explain the deep levels of admiration and respect reserved for McAllister. Just 12 months after 2001’s summer of renaissance, McAllister returned to Coventry City as player/manager. By then lining up for their second successive season in the second tier, McAllister’s first in management was a definitive season of two halves. With McAllister playing regularly, Coventry started well and stood in contention for the playoffs at the turn of the year. An undefeated December saw McAllister score three as Coventry recorded four wins out of five and ship just one goal. However, January 2003 heralded a miserable run of one win in 20 league games through to the season’s end. Relegation was narrowly avoided, yet 46 appearances in a division one season spoke volumes of McAllister’s drive and character at 37. McAllister resigned from his duties in January 2004, citing the imperative need to spend more time with his family. His assistant, Eric Black, took the reins and guided the club to mid-table safety. As a tragic undercurrent to this romantic footballing tale, Denise McAllister, Gary’s wife since their 1993 Gretna Green marriage, was diagnosed with cancer in 2000. Caring for his wife and family meant a number of spell away from the game. Gestures grand and small, and unwavering professionalism only served testament to McAllister’s character. Sadly, Denise lost her battle with cancer in March 2006. After an understandable break from the game, McAllister made a managerial comeback at another of his previous clubs. As Dennis Wise made a surprise switch from the Elland Road dugout to the Newcastle United boardroom, McAllister became manager of Leeds in January 2008. Initially tasked with maintaining their realistic aims of League One playoffs, McAllister did exactly that and was immediately rewarded with a contract extension. However, Leeds were defeated by Doncaster in the final and struggled to recover. After a poor start to the 2008/09 season, McAllister was on his way by December. McAllister linked up once again with Gordon Strachan in 2010, in the capacity of Middlesbrough’s first team coach. Soon after, and continuing the theme of reuniting with familiar faces, McAllister was signed by Gérard Houllier for a second time. Attempting a Premier League renaissance of his own, Houllier was appointed as Aston Villa manager and saw McAllister as an ideal assistant. Sadly, Houllier’s ill-health meant that Villa didn’t get a full season out of a promising managerial team. McAllister stood in as caretaker while Houllier spent the 2010/11 finale receiving treatment. Eventually forced to step-down, the Frenchman was replaced by Alex McLeish, who chose not to keep the services of McAllister. Most recently, summer 2015 saw McAllister return to Anfield as part of a reshuffle in Brendan Rodgers’ coaching team. The appointment felt idyllic, but was an ultimately short-lived arrangement. McAllister suffered an all too familiar fate. As Rodgers and Liverpool parted company, McAllister wasn’t retained as a coach by manager Jürgen Klopp. In a fitting finale to McAllister’s Liverpool love affair, he was named as a club ambassador soon after Klopp’s arrival. To a part of football’s collective memory, fickle and selective as it is, Gary McAllister will simply be ‘that perpetually old-looking bloke who used to play for Coventry’. However, for Liverpool fans, renowned for their wit and realism, McAllister is rightly a hero.